If you are a trendsetter, like me, and follow the latest designs, like me, it makes sense to purchase a sewing & machine. This is what I did in order to learn how to sew. Science I don’t know how to sew, but have been dying to learn, purchasing the brother XR3774 beginners sewing machine was the one for me. It’s also the easiest to learn on. The simplicity of the sewing machine is learning the various stitches. 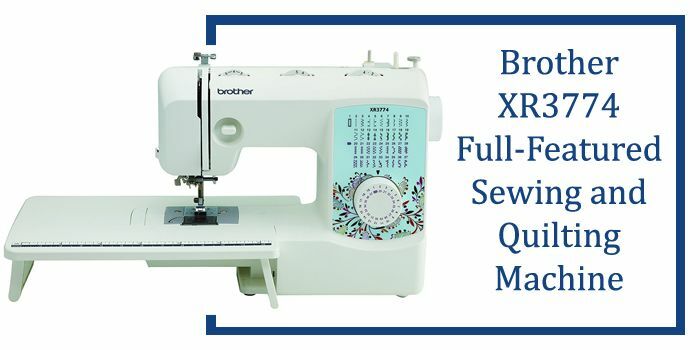 As a beginner, The Brother XR3774 beginner sewing machine is what was recommended to me when shopping for a mechanical sewing machine that’s durable & easy to use. Who is this product design for? The particular sewing quilting machine is designed for beginners. Those who want to learn basics of sewing & quilting. Learning how to thread a needle may be one of the difficult things I had to learn, but with the Brother XR3774, it’s easy because of the built-in threader. This is whom it was designed for, people wanting to learn how to sew from beginning to end. I wanted to learn the basics, so this was recommended. Hence, with the value pack features, this product is ideal for the individual who wants to learn how to sew like me. The machine includes eight sewing feet, with one-step buttonhole. The sewing feet consists of a zipper, zigzag, blind stitch, button sewing, narrow hammer, walking & quilting feet. Once you get the hang of these sewing feet, you too will be that much closer to learning all you need to know when it comes to these important elements of sewing. Some people, like me, say that the “presser foot knee” lift will allow for some time to get in the habit of, but otherwise, it’s a good feature. 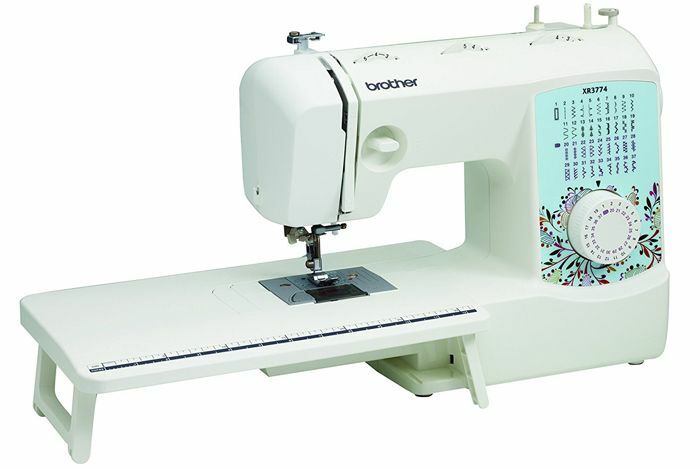 If you want to learn how to sew, buying the brother beginner’s sewing machine would be a great investment. In fact, this is the reason why I choose the brother beginner’s sewing machine. This particular one seems to do its job. It displays, performs, and teaches as I go. It’s one of the most recommended ones on the internet. It’s popular because it has the simplest mechanical features to learn the various stitches compared to other sewing machines. With every product, I’m aware of the pros and the cons. 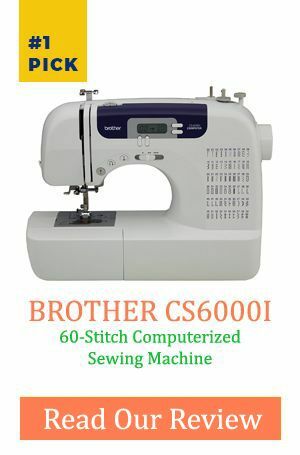 I searched to see what the Brother XR3774 best sewing machine to see what they are. This is what I came up with after the search. Q. Some customers have asked if the machine has a dual voltage and if it allows for 220 v? A. The maIt has no switch and the plate stats that it has 110 v, not 110-220 v so this is the best answer for this FAQ. Q. Does the machine allow for width and length adjustments of the stitches? A. Yes, it does allow for adjustments, such as a boat’s canvas, or sail sheet can be repaired which is thick. Q. What bobbin style does the Brother XR3774 use? A. The plastic bobbins sized at SA 156 or Class 15 is used. Finally, I knew that sewing would be a learning process, but this is the reason for my choice of the Brother XR3774. It is one of the recommended sewing machines for beginners. It’s also another reason why I choose it. I am able to sew or quilt anything from blouses to dresses or baby clothes…etc. I have the capabilities of learning as an I perfect this new craft of time. It also keeps those memorable pastimes of my grandmother’s hobby alive! I highly recommended this one because it’s light-weight, the features and most of all it’s easy to use. You’ll be well on your way to designing your own fashion designs with the Brother XR3774. Learning with a simple-to-use sewing machine is the way to do it, and you don’t have to be a Versace to sew either…I know I’m not perfect for those who love fashion and those who simply need to sew their own rips and tears on that are on their clothes with precision. This is the deal sewing machine to do it on.